If supercars have an Achilles’ heel, it’s their ability to deal with all the mundane details of vehicular legality, like license plate mounting and, especially, marker lights. At best, they’re an afterthought, at worst, some intern gets them from Pep Boys. Not McLaren. 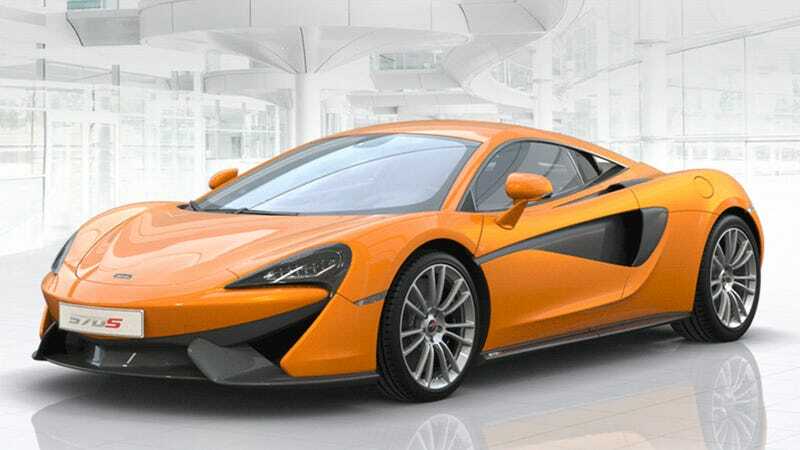 McLaren just schooled the world on marker lights. That crap is right out of the back of the Hella catalog. What happened was the Huayra was designed, some intern pointed out that it needed side marker lights in the US, that intern got slapped with an expensive steak, and then was told to order the cheapest Hella marker lights he could, or he’s fired. See what they did there? The side marker lights weren’t just some slapped-on, passive-agressive sop to the realities of the DOT — McLaren planned for their inclusion from the beginning, and incorporated them seamlessly into the graphic element on the side of the car that incorporates the air intake duct. The result is seamless, elegant, and clever. The marker light at the front continues the implied strake through the wheel well, and the design is actually better for its inclusion. That, my friends, is how you incorporate a marker light. Great work, unnamed McLaren lighting designer. I hope people appreciate what you did there — I know I do.